Plants produce walls on a daily basis and these walls support many essential aspects of life. 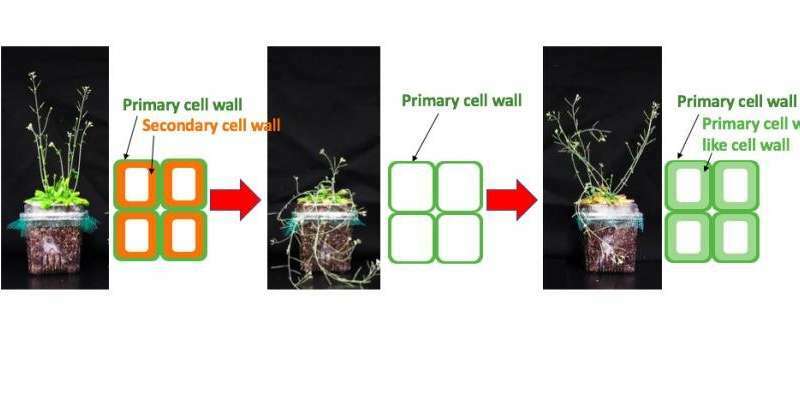 Our new discovery, published in Nature Plants, shows how plant walls could be manipulated in the future to change the way we produce biofuels, bioplastics and other biomaterials. Each and every plant cell surrounds itself with wall structures, also known as cell walls. These are the building blocks for food, fuel and materials. As scientists we invest a lot of time and effort in understanding them, with the aim of being able to manipulate their content and structures. In particular, understanding how to control the production of flexible primary walls, which support cell growth, has been an important goal for biologists. The sugar-based polymers in these walls could be used for a range of applications—like converting them into biofuel, providing new types of green nano-materials or developing bioplastics. However, much plant material comprises secondary walls, which are associated with wood. These structures have different characteristics than primary walls and are much more difficult to tease apart. If we could substitute one wall for another, or perhaps even blend characteristics of the two wall types, it would be much easier to extract the sugars. This is, however, easier said than done as an arsenal of protein activities contribute to the two-wall structures. A potential way around this problem is to find a way of 'turning on' the genes that control the full program of one or the other wall type. In our new study, we have identified 'master switches' that can turn on primary wall production. Astonishingly, these switches can make cells producing thick primary walls that can even be used to replace secondary walls. The capacity to combine the ease of breaking primary wall sugar polymers apart, with the secondary walls' ability to grow thickly, means we can potentially completely change the content of the biomass of plants, from something that is strong but difficult to break apart to something that is more plastic and easy to dissolve. We identified these master switches by expressing a large selection of something called transcription factors, which are proteins that can turn on the activity of other genes, in woody fibre cells of plants. The crux here was to use plants that are not able to produce woody secondary walls as our starting material. To do this, we used plants from the Mitsuda lab at the National Institute for Advanced Industrial Science and Technology in Japan that had been modified so they could no longer make these sturdy secondary walls (the genes for these walls had been 'knocked out'). 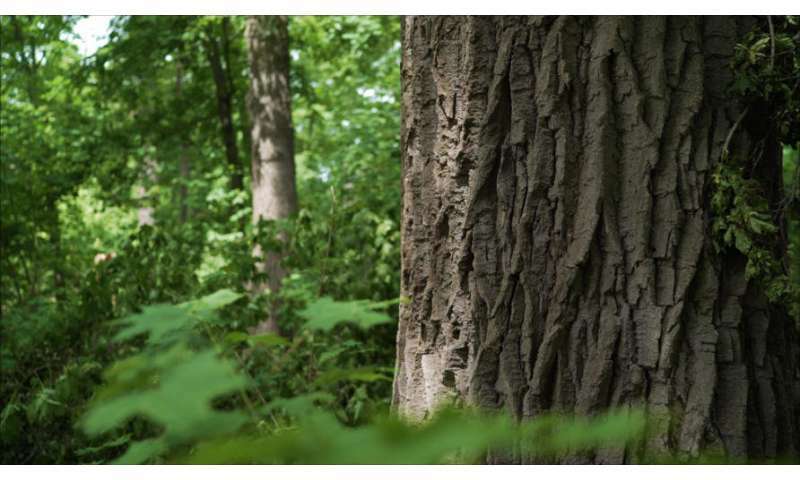 By driving the activity of the transcription factors only in the woody fibre cells, we could then screen for those plants that restored a thick wall structure around the cells. We chemically assessed those plants and found some that produced thick walls but with primary wall-like features. Indeed, these walls were more similar to thick primary walls. While they are less strong than the typical secondary wall encased fibre cells, the amount of sugars released from them substantially increased. By combining the activity of these genetic master switches with different secondary wall transcription factors, we may be able to tailor-make and engineer the biomass of plants in the future—leading to plants that can easily release their sugars for green fuel production or for new types of materials. Plants can help us manufacture a greener future, and thanks to advances in genomics we are starting to understand them better than ever before. Our discoveries will help to engineer plants to produce new types of cell walls, providing for an exciting future in sustainable materials.